However, before looking into the past, it is important to look into how modern-day Bingo works. 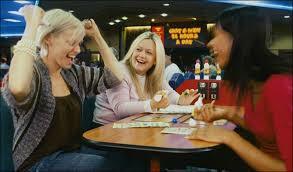 There are many popular bingo halls which are enjoyed by many groups. However, the expansion of technology has meant that the bingo experience can be brought into your living room through either a desktop or various mobile devices. One of the leaders in providing an immersive bingo experience is Mecca Bingo. They have succeeded in bringing the real-life bingo experience to a range of devices through their engaging gameplay, community aspect, and realistic graphics. 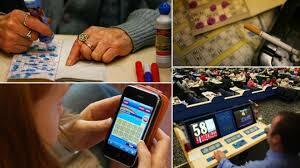 The evolution in online bingo websites has come far enough that many of the thrills have been replicated. The modern day version of bingo can be enjoyed in homes, schools, and in bingo halls. In fact, many types of bingo are still used in schools to teach children basic mathematical concepts. The popularity of the game remains strong; however it is important to learn the history behind this game. Bingo has a long and illustrious history which originally began in Italy in 1530. It has since undergone many changes and adaptations. The Italian version was a lottery known as “Lo Giuoco Lotto Italia.” The game was actually very similar to the modern variant. There were cards with rows, and winning numbers were collected from a sack. In the 1770s the type of game spread to France where it was known as “Le Lotto.” They changed things up and devised the 90 ball bingo cards that we see today. Eventually, the game also found its way to Germany and the UK in the 1800s. The British didn’t change many of the rules. However, they add the famous bingo that we see today. This lingo is one of the reasons why bingo stands out as such a fun and enjoyable game. The origins of these calls come from traditional cockney slang. These calls can be heard even in modern bingo halls. North America first used a variant of bingo in 1929 which they referred to as “beano.” In 1934, 10,000 bingo games were being played weekly by Americans, and in the current era, more than $90 million is spent on bingo every week in North America. The Americans contributed to the mass production of bingo and gave rise to its popularity in mainstream culture. Bingo has undergone many key changes to eventually turn into the game we all love today. It has a rich and steeped history, that is unknown to many people, and its origins can be traced back to many countries. You should now have a better idea about the origins and evolution of bingo.